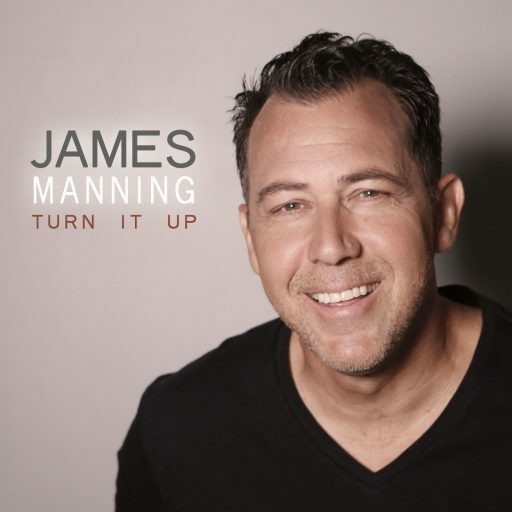 Country recording artist James Manning celebrates first No.1 Most Added single at Country radio as “Turn It Up” claims the top spot on both New Music Weekly and STS Country Airplay charts this week. “It’s very exciting to finally have the opportunity and privilege to share my music with my fans and develop new relationships with all the great people in radio!” says Manning. Written by James Manning and Brett Boyett, “Turn It Up” was produced by Brett Boyett, who currently rides on the success of feature film “Forever My Girl” and writing hits for Cassadee Pope. “As one of the first songs I wrote for my album, the song really captures my journey and truly is the heartbeat of this record.” continues Manning. In his first showing on the country music charts, James Manning has made a strong debut with “Turn It Up” landing at #1 on New Music Weekly’s Most Added Country Airplay Chart, debuting #45 on New Music Weekly’s Main Country chart and #22 Country Top 30 Indie Chart. “From the writers of the song, to Loggins Promotion’s staff and the wonderful support of Country radio, we are incredibly proud of Manning and the amazing efforts that have gone into this single.” says Loggins Promotion CEO, Paul Loggins. James Manning just returned from a “media blitz” week during Country Radio Seminar in Nashville, TN U.S.A. announcing the release of his debut single “Turn It Up” to radio programmers nationwide. The first single from the new album, “Turn It Up”, written by James Manning and Brett Boyett, is available to consumers online from any of hundreds of digital retailers including, iTunes and Amazon. For interview requests, additional information or for radio station visits, please contact Public Relations for James Manning. James Manning’s music tells the stories of our lives. He’s his own man – songwriter, performer, business entrepreneur, and father. A native of Orange County, California, Manning has been described as a visionary storyteller with an infectious spirit and a warm touch. He has developed a contemporary sound that fuses an eclectic collaboration of country and pop leaning songs that are fun, memorable and heartfelt. Manning has shared the stage with platinum artists including Leon Russell, Loverboy, Marshall Tucker Band, John Michael Montgomery, and Grammy Award winning LeAnn Womack. His frequent appearances in venues such as House of Blues, The Coach House, Saban Theatre and the world famous Whiskey a Go Go on Sunset Boulevard have earned Manning a growing, loyal and passionate following. Most recently, Manning has had the opportunity to work with acclaimed singer/song writer and producer Brett Boyett, who’s recent credits include Executive producer & Writer to the Soundtrack for the 2018 feature Film “Forever My Girl” in addition to writing and producing credits for Cassadee Pope’s Billboard top hit “I Am Invincible”. Additionally, Manning has worked closely with Bruce Vanderveer on his new release. Bruce Vanderveer is a Grammy-nominated, Sony/ATV music producer and songwriter. His records have topped Billboard charts from country music (“Cradle to the Grave” by Bettina Bush, #2 on Hot Singles Sales Chart) to K-POP (“Incredible” by XIA, debuted at #5 on World Billboard Chart). Bruce is the producer of “White Flag” and “Let It Go” from James Manning’s debut EP. Manning described his inner thoughts on writing two of the songs on his project. “I wrote the title song ‘Unforgettable’ about a time in my life when I was very busy but when true love came knocking, it was absolutely unforgettable. ‘To Get My Heart’ is about a deep desire and pursuit to get the one they love to connect with their hearts.” Stay connected with James Manning on social media.